The south London duo’s third full-length album Full Bloom is the work of a band flowering into their most colourful, creative incarnation yet – an electronic pop bouquet of ideas and emotion, hooks and hip-hop inspired beats that represents the pair at their most ambitious yet. 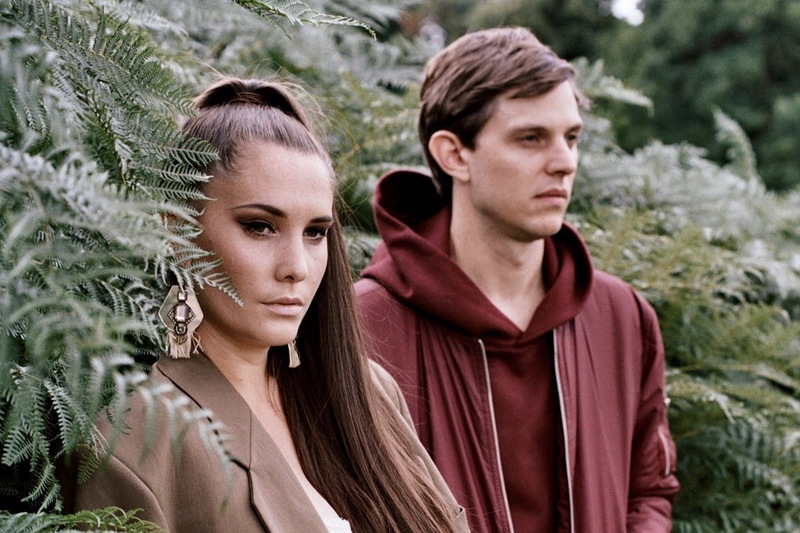 It’s no accident that Alpines’ new album is called Full Bloom. The south London duo’s third full-length is the work of a band flowering into their most colourful, creative incarnation yet – an electronic pop bouquet of ideas and emotion, hooks and hip-hop inspired beats that represents the pair at their most ambitious yet. “It’s the sound of us fulfilling our potential,” says producer Bob Matthews, explaining how he and creative sparring partner Catherine Pockson felt brave enough this time to tackle everything from climate change to the flawed nature of humanity. “Growth, acceptance, devotion and vulnerability are all themes. There’s beauty in the world – but it’s fragile. We wanted to reflect this.” Growth, however, seldom comes without growing pains, and a lot of pain had to be overcome in the making of Full Bloom. “There were some very challenging things in my life that I needed to face up to,” says Pockson, describing the “very personal journey” toward this album she had to undertake. “Our last two albums were written in moments of real uncertainty in ourselves and also our place in the music industry. This time we had no fear about our place in the world, and found that creativity flourished.” “We’ve been described as experimental pop and electronic R&B. Those descriptions are accurate in a way, but don’t quite nail it,” says Matthews. No wonder their sound is difficult to pin down: with influences as broad as D’Angelo, Kelela, ‘90s rave culture and Massive Attack, their songs are at once future-facing and time capsules from the past. “There are tracks that lean more towards Catherine’s love of classic singer-songwriters and soul music, and others that are inspired by left-field producers and rap.” Add to the mix a wide variety of non-musical influences – Netflix drama The OA, architect Rachel Whiteread, modern fashion and Jean-Michel Basquiat – and it’s easy to see why Full Bloom overflows with innovation.